This delicious and decadent tasting spread recreates the taste of Speculaas cookies, a Dutch spice cookie I loved as a child. Spread it over bread, healthier pancakes, vegetable or fruit pieces for a taste of Christmas without all the sugar! 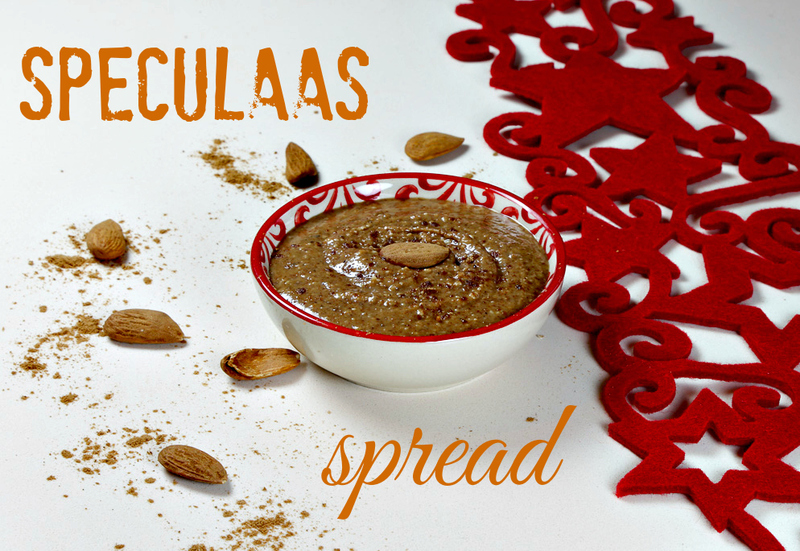 Start by making the Speculaas Spice Blend and keep leftovers in a jar to add to preparations like smoothies, yoghurt, muesli etc. Once your spice blend is ready, combine the below ingredients until the mixture is smooth. Store in a sealed container at room temperature. 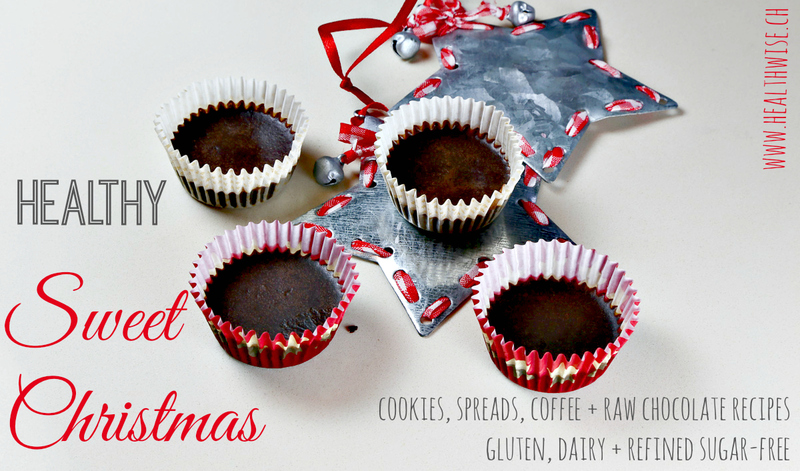 Download my Healthy Sweet Christmas eBook with recipes for cookies, granola, chocolate and spreads that are all gluten, dairy and refined sugar-free. I just spent six weeks in Dubai – a city I never desired to visit nor had any hope of loving. Yet when my husband was put on a work project here for 6 weeks, we thought it would be a unique experience to share together and I took time away from my sessions to join him. 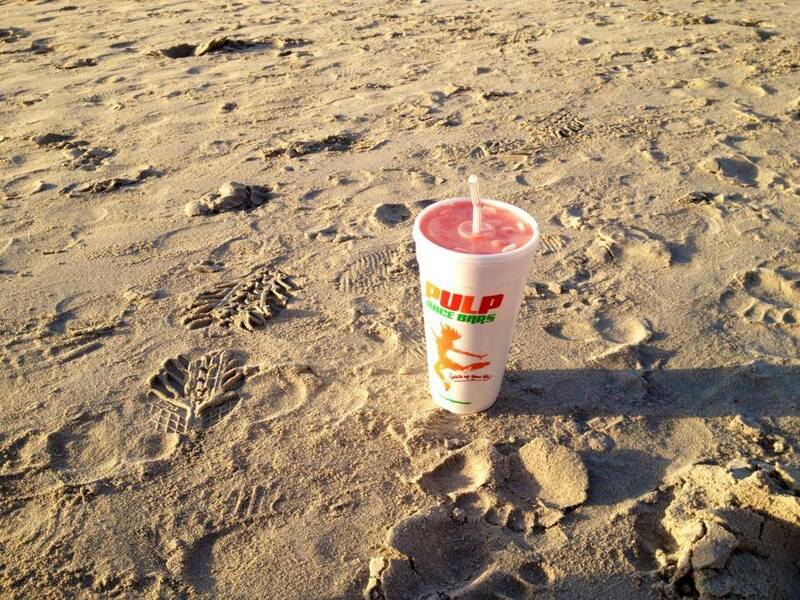 Healthy living is a collection of small choices you make every day. Out of my normal home context, these decisions became much harder to make. And yet – sometimes letting go of good habits reminds us of why they are important to us in the first place. ere are some learnings from six weeks of eating away from home. My eating was definitely not at the 80% is perfection I usually aim for – perhaps more 60% healthier options and 40% less healthy options. I ate a lot more dairy, white bread and sugar than I would at home and cooked a lot less than I usually do. Rather than obsess over my less than stellar way of eating, I tried making more effort where I had more control: Home food preparation and by choosing the healthier option at restaurants – because as I have written before, there is always a healthier option. I also tried upgrading on food quality whenever possible, eating mindfully and listening to my body. These are choices that are almost always within our grasp, regardless of where or what we are eating. Most importantly, I realized I was doing my best in the circumstances and that it was also important for me to be nourished by other aspects of life than just food – especially when being surrounded by so much newness. I have written my story of being addicted to sugar and I realized in Dubai how easy it is to go back down this path. 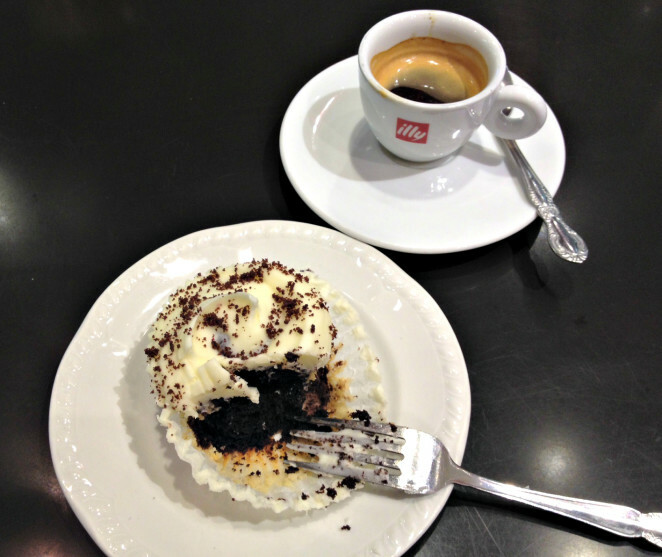 Because our stay in Dubai had a holiday feel to it and sugar is very much linked to celebration and pleasure for me, I found myself ordering a cupcake or ice-cream as a ‘treat’ a few times. After all, it felt like a special occasion every day! And while this was in no way as extreme as when I was really addicted to sugar, it made me realize how quickly bad habits can creep up on healthy ones. It also reminded me of how addictive sugar can be and that the less I eat of it, the less I crave it. After the second cupcake two days in a row, I realized I needed to find alternative ways of doing something nice for myself so I started becoming a little more creative and found other ways of bringing pleasure to my days – since pleasure is very much linked to sugar (sugar = pleasure for the body). These included discovering a new coffee shop, taking my laptop to the beach and working from there, getting a manicure or pedicure, going to a yoga or pilates class, going swimming, simply noticing the beauty around me, watching the sunset or journaling. I find that the hardest food group to get enough of when eating out a lot is vegetables. 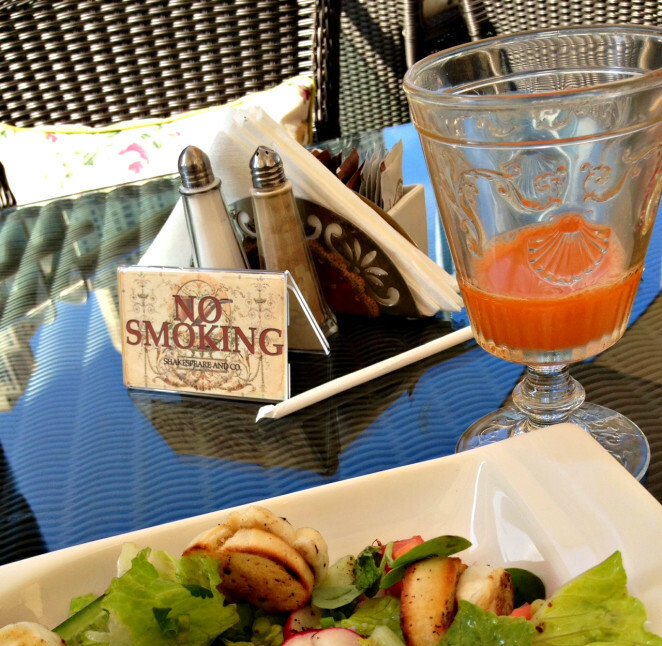 My solution to this was to try and eat as many vegetables as possible at home and to have a fresh vegetable juice whenever I could find one or even a fresh coconut juice. I also ate more fruits than I normally would as it was an easy way to get more nutrients and it felt very natural in such a hot climate. Still, I very much missed my almost-daily smoothie as an easy way of adding more vegetables, especially green ones, to my diet! I tried viewing my not always so healthy eating experience as an experiment and an opportunity to be in tune with my body through intuitive eating rather than as a failure in healthy eating. When I paid attention, I noticed that there really is a difference between living food and ‘dead’ food. 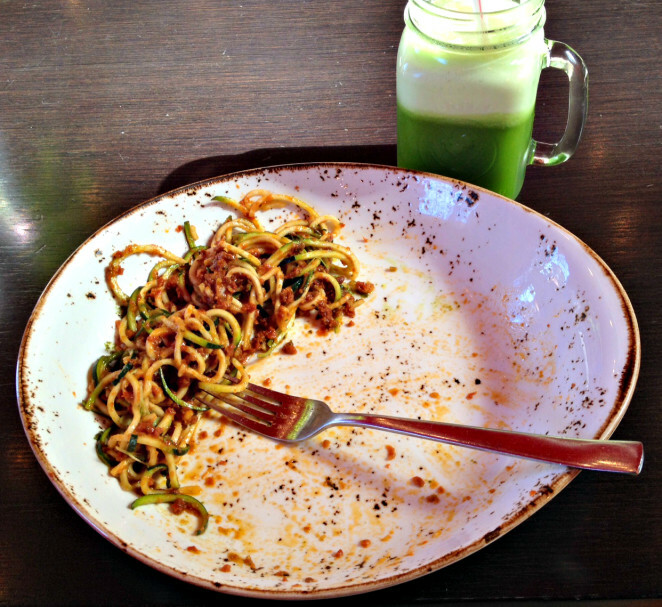 My body felt more alive and vibrant after eating zucchini noodles at a raw food restaurant than it did after eating regular pasta – even though the regular pasta tasted delicious. Being attentive to how my body felt after eating something as opposed to whether it simply tasted good in the moment helped me make healthier choices, even in the face of temptation. 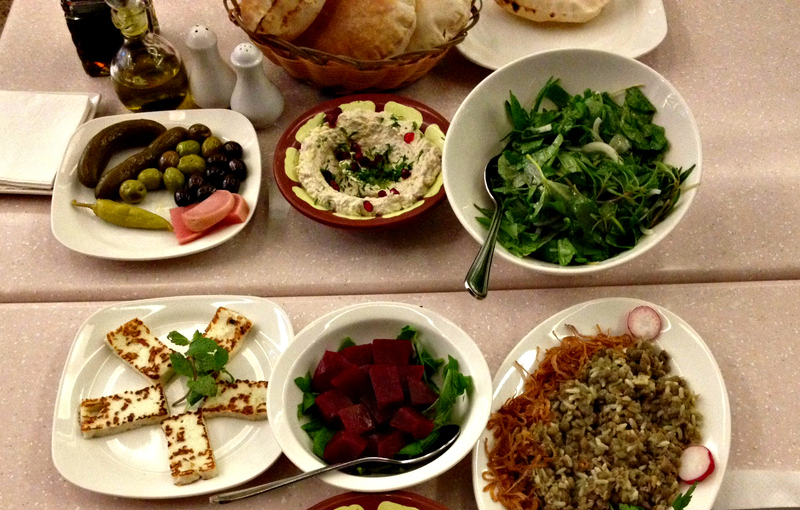 When you are on holiday or somewhere for a limited time and there is a lot of food you want to taste, there is definite FOMO or Fear Of Missing Out. ♥ Eat only what you REALLY REALLY want – not food that might be interesting but that doesn’t light you up. ♥ Have very small portions – realize you can always have more if you want. 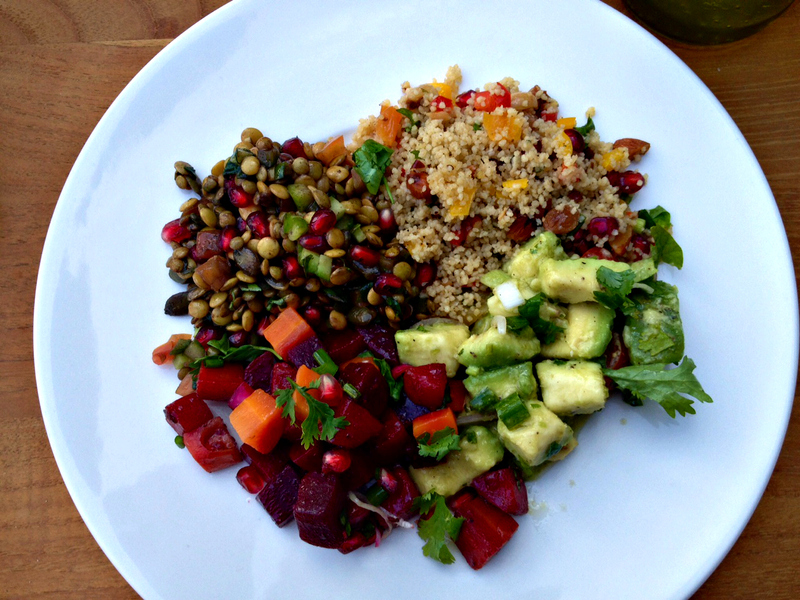 ♥ Slow down and eat mindfully – take your time and really taste the food. ♥ Listen to your body and honour your hunger signals over finishing your plate or trying everything out. ♥ Don’t fill up on things like bread or rice (unless they really light you up). ♥ Don’t eat food you can have anytime or somewhere else – eat only what feels unique and special to this buffet. I had never ordered a meal and eaten out alone and often find it more difficult to eat mindfully when I am alone. I decided to take this on as an experiment, asking myself: I wonder what it will be like to take myself out for lunch and really enjoy my food without distractions? Even though it was uncomfortable in the beginning and difficult to keep my phone away, eating alone has now become a source of pleasure for me. I started to appreciate it as a way of connecting to myself and my food without distractions – and it also made me appreciate eating with others even more at other occasions. PS – While I thoroughly enjoyed my time in Dubai, it was also a productive time for Healthwise. I finished the first draft of an Online Mindful Eating program to launch in January and updated the Healthier Christmas Cookies eBook which will be out next week – make sure you are signed-up for my newsletter to receive it. I also started blogging for the Huffington Post – read my articles here. I used to be a sugar addict. I needed something sweet after almost every meal and often in the middle of the afternoon.When I was eating alone in the evening, I would have what I called a dessert meal: a big bowl of ice-cream, a pack of M&M’s or Nutella straight out of the jar instead of a real meal. 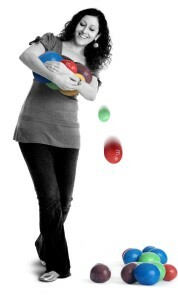 M&M’s were my favourites- as shown in this photomontage taken at the advertising agency I was working at back then. We had to pose with our favorite brand and sadly, this was mine! The worst part is, I thought this was OK because I was ‘saving’ the calories from a normal dinner and replacing them with the sweet food of choice that evening. When I discovered I had a genetic kidney disease and decided to change my diet, I went through phases where I completely banned sugar. And I realised by doing this how addicted I was and how addictive sugar is. But I couldn’t keep it up for more than a few weeks. I realized that radically banning any form of sugar from my life wasn’t the answer for me. It was about understanding and accepting my relationship to sugar in order to change it instead of trying to fight against it. ♥ Sugar is addictive – 8 times more addictive than cocaine according to Dr Mark Hyman…yet the sweet taste is an integral part of our diet and trying to deny this is like banging your head against a wall. ♥ Sugar cravings are often a sign that something is out of balance with what and how we are eating the rest of the day…yet they also have nothing to do with food and have a very strong emotional component as well. This recipe is for anyone who loves Nutella and is looking to replace the store-bought kind with a much healthier version that uses only whole foods like hazelnuts and cacao powder and sweetened with a little maple syrup – an unrefined sweetener. Hazelnuts are supposedly the main ingredient in the real Nutella but they actually account for only about 13% of the ingredients – the number 1 ingredient being sugar, followed by palm oil. I won’t go into how unhealthy store-bought Nutella is – suffice it to say that they have been sued for falsely advertising health claims when in fact, Nutella is more like a candy bar than a nutritious spread. 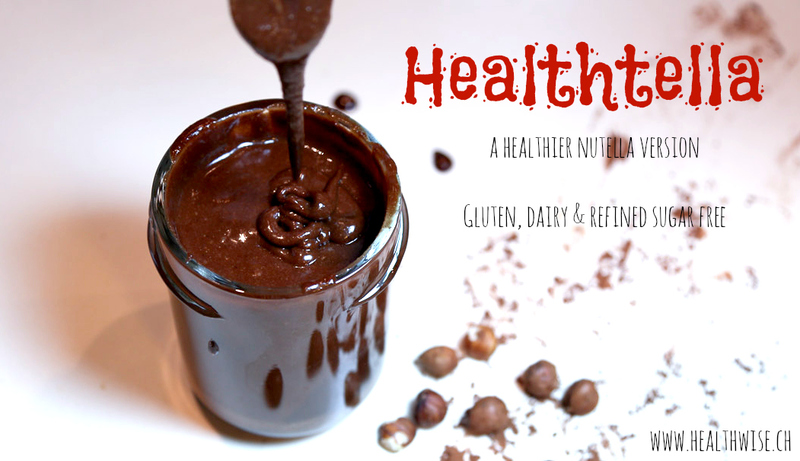 The main ingredient in Healthtella is hazelnuts. Hazelnuts are a good source of Vitamin E as well as iron, zinc, calcium and potassium. And because they are made up of 60 – 70% oil, when you whizz them in a food processor for just a minute or two, they quickly turn into a beautiful, creamy spread. To this, we add the cacao powder, melted cacao butter or coconut oil plus a little maple syrup – and voilà – you have Healthtella! Heat your oven to 135 degrees Celsius. Measure 1 cup or 200g hazelnuts and place on a tray in the oven for about 20 minutes or until they are evenly roasted. Remove from the oven and rub the hazelnuts between your hands to remove any loose skin. Once they are completely cool, place them in food processor and grind them until they are liquid. This should take about 1-2 minutes and you may need to stop and scrape down the sides a few times. Mix everything until it is well combined and you have achieved the right taste and consistency. Store in the fridge but take it out a little before you eat it so it becomes less solid. I would love to hear from you – what’s your relationship to sugar like? Are you a fan of Nutella? 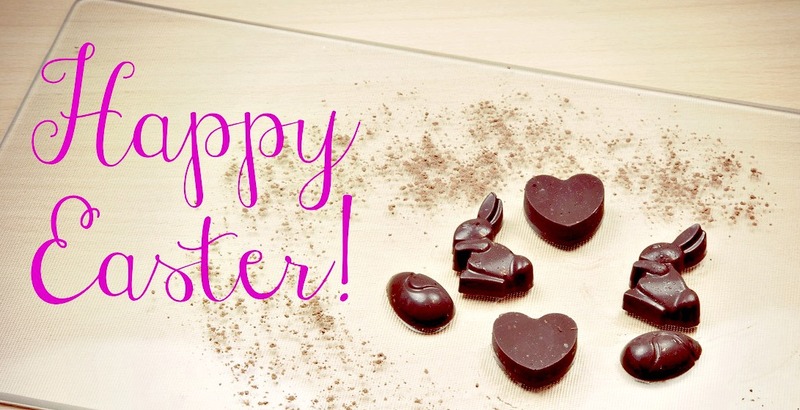 If there’s one thing we all associate with Easter, it must be chocolate. This Easter, why not try making your own? It is actually really simple to do – and a much healthier option to most chocolate you can buy, especially Easter bunnies. Both cacao butter and coconut oil are great sources of healthy fats and I find they work very well together in this recipe. If you do not have cacao butter, you can also just use coconut oil, although the cacao butter is what gives this chocolate that irresistible, melts in your mouth taste. Dark chocolate is increasingly being touted as a healthy options due to the high cacao content. When cacao is used raw, unsweetened and unprocessed, it has one of the highest antioxidant levels of any food and is also a good source of magnesium, iron, zinc and more. Cacao is can help prevent depression as it contains tryptophan, a precursor to serotonin, the happiness neurotransmitter, and it also has positive effects on cardiovascular health. And of course, it is delicious, especially when you make it yourself. Since I started making my own chocolate, I no longer want to eat store-bought chocolate – this takes the taste experience to a new new level! Any taste you would like to add to your chocolate. I am hooked on mint essential oil at the moment but have also tried lemon zest, rose water and just plain chocolate – all with great results. Melt the coconut oil and cacao butter in a double boiler until they melt. Add the honey and stir until everything is incorporated. Sift the cacao powder if it is lumpy into the mixture. Add the salt and any extra taste you may be using and stir until the mixture is smooth. Pour the mix into silicone molds or anything made of paper – you can use cupcake papers as well. If you have a silicone cake pan, you can also use that to create a chocolate bar. Place the chocolate in the freezer for at least 10 minutes until it is set. The chocolates can then be removed from the forms and stored in the fridge or simply kept in the freezer. If you have difficulty finding cacao butter, you can order it online from iherb – use code WIV403 to get $5-10 off your first order – they ship anywhere in the world. If you are around the Geneva area, you can now find cacao butter in Biofrais. I would love to hear from you – have you already tried making your own chocolate? Are you tempted to try? Last week on the Healthwise Facebook page (like it if you don’t already – it’s where all the action is!) I asked what ‘guilty pleasure’ people would like to see upgraded. Here are the 5 foods that got the most votes with a blog round-up of links to recipes that are healthier upgrades to the original food. 1. Upgrade on quality: Buy the best quality of the food you can find and afford – the quality of the ingredients used makes a huge difference in how healthy something is. 2. Upgrade your attitude: Make it a moment that you really, fully enjoy. Savor every bite of your food and get rid of the notion of ‘guilty’ in pleasure. Make it just pure pleasure. When you are fully present for what you eat, you are satisfied with less. 3. 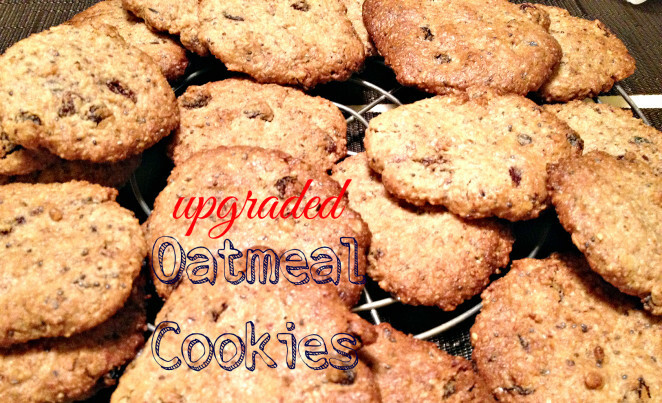 Upgrade by making it yourself: When you make something yourself, you know exactly what goes into it and you can use healthier alternatives to common ingredients. This recipe is vegan, bringing the creaminess from blended cashews. You have to try it to believe it – and you can leave out the spicy ingredient to make a regular mayo. This recipe shows you how to make your own mayo the traditional way – a much healthier alternative to the mayo that comes in tubes. This gluten and dairy-free recipe is a healthier alternative of the pancakes my father used to make for us on weekends and was one of the first recipes I upgraded when I started changing my diet. This recipe is for more of a fondant au chocolat style cake. This recipe is more of a chocolate cake with chocolate buttercream. This recipe is a chocolate orange cake with a sweet potato ganache – and it is all vegan. Butter and eggs both play an essential role in our diet but make sure you buy good quality, preferably organic butter and eggs from animals who lived outside and ate their natural diet. These recipes all use healthier sugar sources like honey, maple syrup, date syrup or coconut sugar. This recipe is just incredible – it uses cauliflower to provide creaminess -but nobody would realize it wasn’t cream if you didn’t tell them. Tried and tested on guests! This recipe is a simple healthier alternative: The secret is to use dark chocolate (at least 70%) instead of milk chocolate and peanut butter without anything added – no oils, salt or sugar – and then add your own high quality salt. What is your ‘guilty pleasure’? 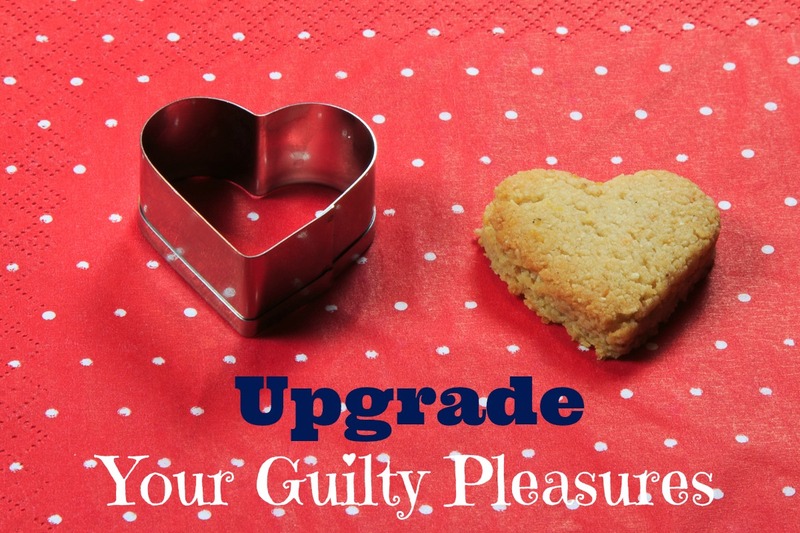 Take the guilty out of guilty pleasure! Click to Tweet! The original recipe I grew up with calls for the usual suspects: Butter, sugar, white flour, eggs. But in the spirit of upgrading I came up with this recipe which is free of refined sugar, refined flour, eggs and dairy AND includes healthy ingredients such as whole grains, nuts and seeds. The best part is how versatile and easy it is – you can change or experiment with the ingredients according to your mood and what you have in your cupboard! Some additional sprinkles for added taste and health benefits such as chia seeds, amaranth, wheat germ, sesame, pumpkin or sunflower seeds. You can also add spice such as cinnamon, nutmeg and cardamon. 2. Mix all the dry ingredients together in a large bowl. 3. Mix the wet ingredients and stir into the dry ingredients. 4. Form small balls and place on a cookie sheet, pressing the balls down with your fingers. The flatter, the crispier. 5. Bake for 12 minutes or until crispy. In my own experience and working with people to create healthy change, there is always that one food that you absolutely cannot touch. Common DO NOT TOUCH foods include cheese, chocolate, chips and Nutella. Instead of trying to reduce or eliminate them, what about upgrading the quality? If your DO NOT TOUCH food is cheese, buy only organic, high quality cheese. If it is chocolate, upgrade to at least 70% dark chocolate. Chips? Look for chips that are baked instead of fried, vegetable chips or chips that fried in a healthier oil and use unrefined salt instead of table salt. Even Nutella has healthier versions that can be found in organic food stores. When you buy only the best quality of your DO NOT TOUCH food, something wonderful happens: You naturally start eating less of it, and take more time to really savor the taste. An even better upgrade is to make it yourself. 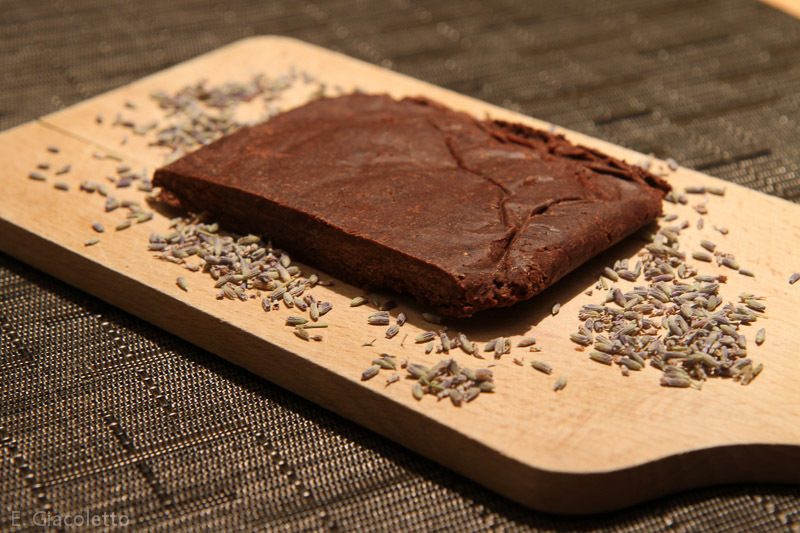 This weekend I made my own DO NOT TOUCH food – chocolate – using cacao butter, raw cacao powder, dates, sea salt and a pinch of lavender (recipe here). It was divine! About 5 years ago, I was an M&M’s and Maltesers addict. Now my tastebuds have been upgraded to the point where I don’t think I could ever eat them again! What about you, have you upgraded any of your DO NOT TOUCH foods? Normally, when thinking about brownie ingredients, we think sugar, butter, flour, eggs and of course, chocolate. But what if you could have the taste and yumminess of brownies without any of these ingredients? What if brownies could be reinvented to the point where they could even be considered healthy? I’m not sure you will believe me before trying out these recipes yourself! Dates – bring the sweetness without needing to add sugar. Ideal is to use medjool dates, but I have also used normal (organic) dates and they work well too. Cacao powder – as always, full fat and raw, without added sugar. Sea salt – I find mixing flavors – in this case sweet and salty – gives a more sophisticated taste. 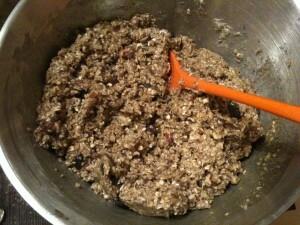 The final ingredient differs – ground walnuts and almonds or ground cooked quinoa, depending on the recipe. For both recipes, you will need a good food processor to grind everything into a smooth paste. This is delicious and doesn’t even need to be baked! The main ingredient here is quinoa, a super healthy seed that is cooked and eaten more like a cereal. I actually can’t believe I haven’t done a post on quinoa yet with the amount I eat – especially after the United Nations declared 2013 the Year of Quinoa! Soak, then cook the quinoa according to instructions. 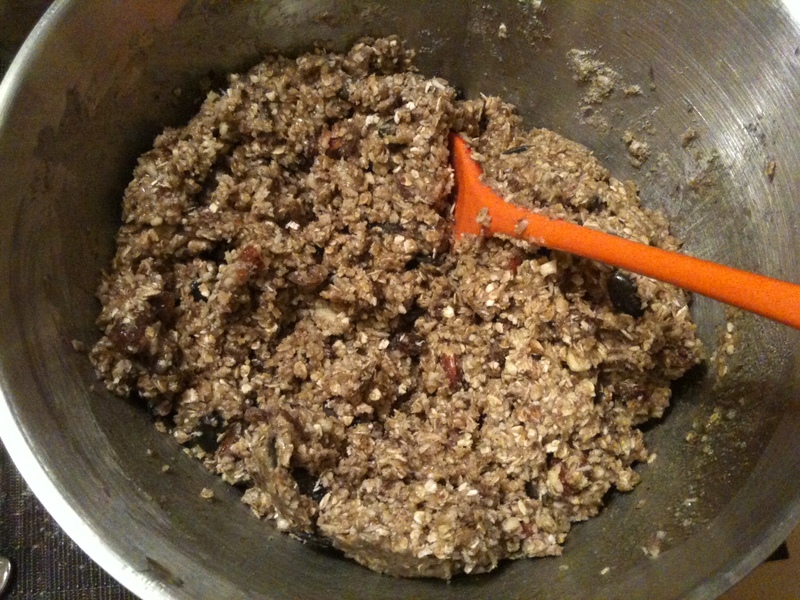 In a food processor, pulse the quinoa until it is mushy. Add the dates, one by one, until a paste is created. Add the cacao powder, vanilla, sea salt and melted coconut oil. Pulse until everything is consistent. The batter should be stick – scoop it out into a small baking tray and bake at 180 degrees Celsius for 20 – 25 minutes. Allow to cool before cutting into squares. Let me know your thoughts if you give these a try – I can guarantee you won’t miss the ‘real’ thing!